Several dogs at Fort Bend County Animal Services are in immediate danger of being euthanized. 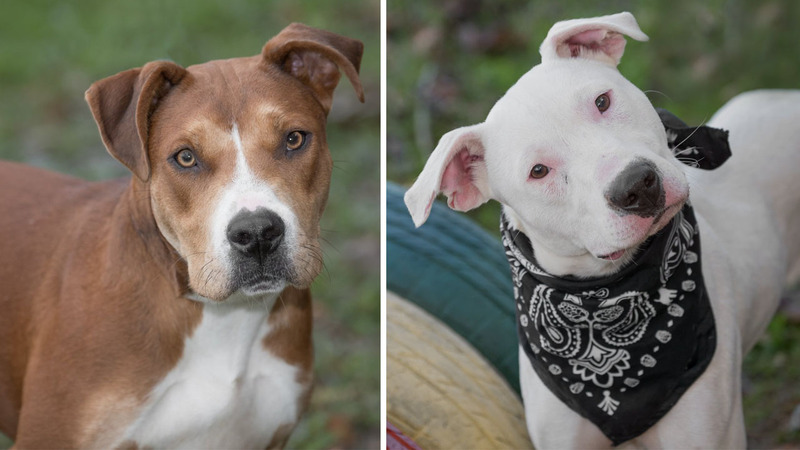 FORT BEND COUNTY, Texas (KTRK) -- Several dogs need your help for a second chance at life in Fort Bend County. Fort Bend County Animal Services does what it can to provide a temporary home for dogs and cats, but they do not have enough room and are urging the public to step up. There were eight dogs in immediate danger of being euthanized, but the community stepped up for six. Now, Sylvia and Mick are on their last day. Unless someone can help by either adopting or fostering, they will be put down at 7 p.m. While two dogs are in immediate danger, more than 100 need your help. If you can't adopt, they are also accepting fosters. They provide a temporary home to pets until they find a forever home. Officials say 21 dogs came to the shelter on Monday including eight puppies and the shelter is simply out of room. The shelter is located at 1210 Blume Rd, Rosenberg, Texas. They are open from 10 a.m. to 5 p.m. Meanwhile in Harris County, they are building a new shelter to hopefully save more animals there, but sadly there are shelters that put animals down. While Austin has been the largest no kill city in the country for years, Houston has struggled to meet that goal. If you'd like to help, several animal shelters and rescues are always looking for volunteers, fosters, adopters and donors. Astros pitcher Lance McCullers Jr. has teamed up with Rescued Pets Movement to rescue thousands of animals this year. A dog refuses to leave a busy roadway after it appears his best friend was killed there. These puppies are ready to find forever home.